BMW announced it will sell you a carbon fiber, lightweight, rear-engined car. Does that sound amazing? Well, it's a motorcycle engine, and it'll just be a generator for the new i3. Yes, BMW has all the power to build you a motorcycle-powered carbon fiber coupe like a modern day Honda roadster, but instead it's using the technology as an optional range-extender for the upcoming i3 city car. This news comes to us from Automotive News, who spoke with BMW's head of R&D, Herbert Diess, at the Detroit Auto Show. 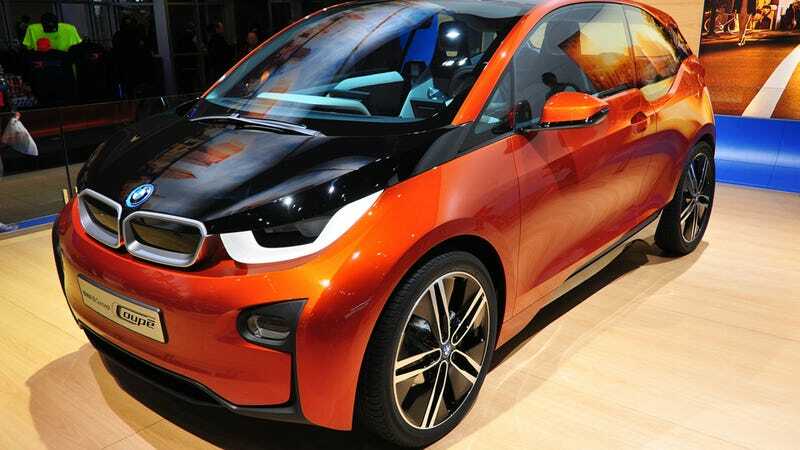 Diess imagines that about half of all early i3 buyers would opt for the little motorcycle-derived motor, housed under the trunk and not driving the wheels. I know, we were disappointed too.